Beginning with Deployment Manager 4.2, you can control access to Deployment Manager more effectively by implementing an authorization strategy. 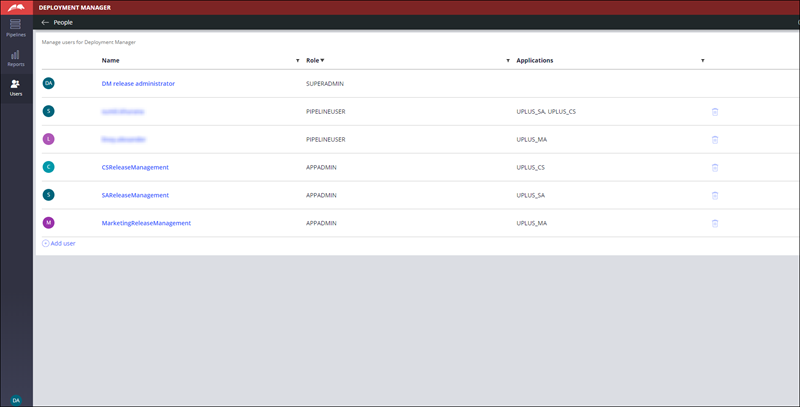 You can now create users with specific roles and privileges so that you can control the actions that users can perform on application pipelines that they are authorized to access. Use this enhancement to manage specific application pipelines and their user bases. The Deployment Manager portal defines two default roles for super administrator and application administrator. You can create additional custom roles that match the needs of your organization. 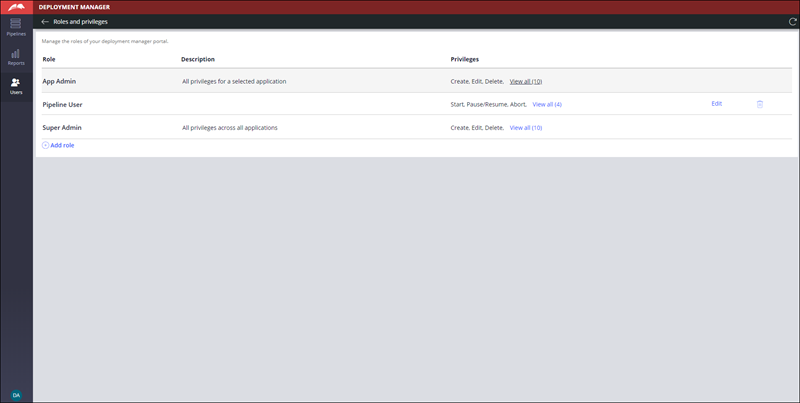 The following figures show the Deployment Manager pages where you set up users, roles, and privileges.